Although it’s unfair, it’s not too farfetched to imagine Miyazaki’s personality to reflect the tone and type of films he’s made: colorful, jovial, and all-around a pleasant. To a certain extent, he is. 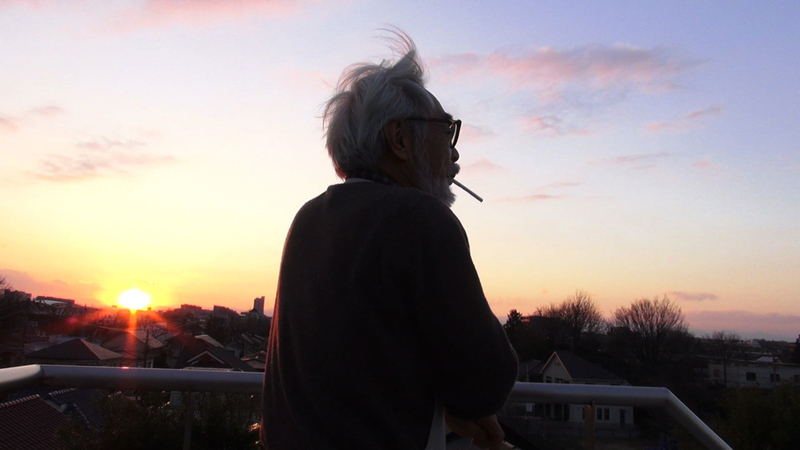 When he’s alone with the filmmaker that Miyazaki reveals something quite shocking: the man is a pessimist. Not only does he find his occupation to be a “grand hobby,” but sees the films today—even his own—meaning little to adults. Miyazaki refers to his (and his character Jiro’s) profession as a cursed dream. He has very little hope for the present and the future of Japan and Studio Ghibli, almost certain that the latter is destined to fall apart. At first, I thought he was just being a curmudgeon—which he is at points—but film goes a bit further in demonstrating this aspect. One of the more darkly comedic moments of the film is when he shows the interviewer his “2008 Depression” scrapbook he made after his community was succumbing to hard times, only to top it with his “Depression Whiteboard” that he charts the hits Japan has taken socio-economically in the past few years. Whether it’s the economic collapse or the Fukushima Daiichi nuclear disaster, he looks to the sky only to find it still “affected” by the disaster, ultimately seeing little hope. A couple more similarly revealing tidbits from the film: Did you know that of all his films, he’s not a fan of “Porco Rosso”? He seemingly made that film begrudgingly, since it was mostly geared for adults and not children. There’s a moment in which his team goes to a convention in Japan, be he doesn’t. Whether this has anything to do with it, he reveals later in the film that he thinks Otakus are fetishizing their obsessions in a negative way, even though they’re a part of his fanbase. Also, the word “Ghibli” actually means little to Miyazaki. It’s a word he simply adopted after spotting it somewhere on a plane ride. This bleaker side of Miyazaki isn’t his entire personality, and shouldn’t be seen as a disappointed. It makes him much more human, pushing him deeper into creating worlds in which people can leap between buildings and go on adventures with dragons. The scene in which he looks out his window onto the city and creates a scene for the documentarian is a beautiful example of his internal struggle. One would think that Miyazaki’s son Goro would step up to the mantle left vacant by his father, but the film reveals Goro as someone who’s far from interested. Leading to the documentary’s more awkward moments, Goro doesn’t seem too keen on even making his next film or being a part of a current Ghibli production (it’s unclear what meeting specifically Goro attends in the documentary). After long pauses of silence, a fellow producer even apologizes for overstepping his bounds and removes himself from a project. It’s not hard to see Goro’s perspective. On one hand, he has desires to be his own filmmaker, but got roped into Ghibli with his father. Unsatisfied, he’s mostly worked with doubt, even claiming his current position in life is accidental, that the only thing driving his work at Ghibli is the relationships he’s established with the staff. The whole time, Goro sits there clearly wanting to be elsewhere. At no point do they ask Goro how he feels about his father directly—it’s all there in his expression. Some might see Goro’s lack of enthusiasm a good thing, since his first film “Tales from Earthsea” is one the studio’s lowest rated releases. Although, “From Up on Poppy Hill” seemed to have done quite well, and Goro could abandoning a possible career resurgence. Isao Takahata is the renowned filmmaker responsible for animation classics such as “Grave of the Fireflies” and “Heidi: A Girl of the Alps.” In the film, Takahata is mentioned by almost all the interviewers, in which he’s working on completing “The Tale of the Princess Kaguya,” despite the constant doubts by his colleagues. While his relationship with Miyazaki is pretty much history for most Ghibli fans, I’ll try to do a brief recap: Almost half a century ago, Takahata and Miyazaki were both up and comers at Toei Animation. Having a bit more experience, Takahata took notice of the latter’s talent, taking him under his wing. As the years passed, Miyazaki went from drawing to help produce Takahata’s films. Miyazaki would break apart to direct his own features, but would rely on Takahata to act as producer on two of Miyazaki’s films (“Naussicaä of the Valley of the Wind” and “Castle in the Sky”). They would still continue their working relationship even after Miyazaki’s own success as a filmmaker, but as the years passed, they mostly worked separate. Today, they’re still very much friends and talk about each other in such a way. The producers at Ghibli see both director’s relationship as a much needed rivalry, one that forces the other to do simply do better. Even though people began doubting Takahata’s commitment to the medium in the past few years, it seems like Ghibli simply accepts the delays, despite affecting the marketing and release date. They don’t mind, since Takahata’s features have varied visually in a way that Miyazaki has not. As one animator states, Takahata is a great alternative and complement to the mainstream acceptance of Miyazaki’s films. While Miyazaki creates the movies, Toshio Suzuki is the producer who keeps the studio operating. For over 35 years, Suzuki has kept the machine running. When the film isn’t showing Miyazaki working or being all eccentric, it focuses on Suzuki running the day-to-day elements regarding Ghibli’s business side. Even though fans love and adore the iconic characters created by the studio, it’s really interesting to see Suzuki and his team treating everything by numbers. Even though it’s standard business, you could suspect something as pure as Ghibli would keep that to a minimum. Nope. It all makes money, especially with adults. He not only conducts all the press junkets and conferences, but even scopes and visits the theaters set to exhibit the films. When the documentary shows marquees, conventions, and all other forms of Ghibli marketing and memorabilia, you see how important Suzuki is in making these things possible in a big way. When it shows footage of Suzuki during his early days, he doesn’t seem that different of a person. 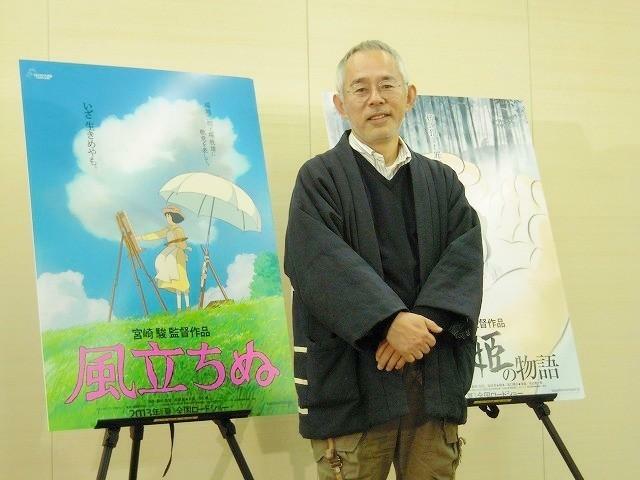 He not only pushes both Miyazaki and Takahata, but is respected by the studio for his problem-solving, earning the moniker as “detective” by some of the staff. He’s even present in an attempt to support Goro during his one scene. With Ghibli’s future still looking somewhat uncertain, Suzuki is looking ahead at a few interesting years. Another producer worth mentioning is Yoshiaki Nishimura. Younger and in his 30s, Nishimura was chosen to aid Takahata for his most recent films, so Suzuki could primarily work with Miyazaki. 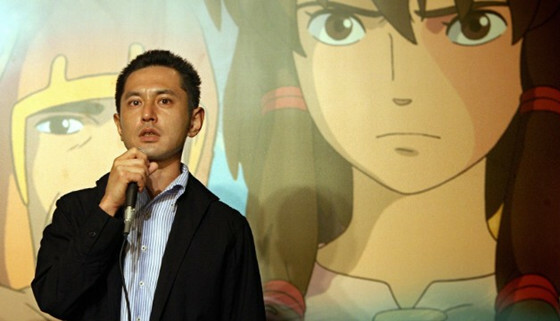 But if Ghibli is going to continue making films and television programming, Nishimura will most likely take over. Judging by his first feature as producer being also nominated for an Oscar, Ghibli is in good hands. 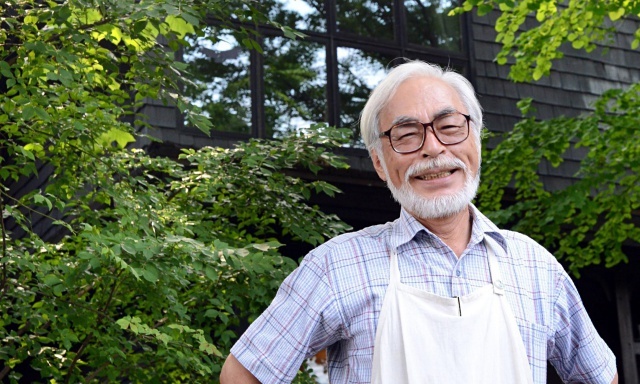 It could be just his age, but Miyazaki doesn’t see the hopeless future a reason to give up. There’s an especially shocking moment in which he states that those who have nothing going on with their lives should simple end it. Yeah, he said that. Yet, almost every time he says something that extreme, he undercuts it with an amused laugh or chuckle. “You think I’m cruel?” is what he’ll ask, and it’s only seconds later that everyone just starts laughing with him. He’s half-joking, and it’s his way of working through the misery, finding the magic outside of reality. That, and he simply has a wicked sense of humor. For Miyazaki, it’s always been about the children. They’re his main reason to keep going. Despite his bleak outlook for the future, there’s hope there that he doesn’t acknowledge which says so much about his character. It’s the reason he mostly works without taking holidays and weekends from 11 a.m. to 9 p.m., without missing his lunch visits to the nursery or his rooftop breaks during his workday. The latter he takes his staff with him. More than just a smoke break—and he boy does he smoke—it’s a time he urges for reflection and meditation. The last shot of “The Kingdom of Dreams and Madness” actually ties things together perfectly. By now, both films should’ve already been released and audiences should be able to enjoy them. In addition, last fall was when the studio announced they had no future productions lined up after the completion of “When Marnie was There.” While they announced that Ghibli will be co-producing Dudok de Wit’s “The Red Turtle” in their first European co-production, much else is known following. Here’s to hoping that they make films as long as humanly possible, because what they’re doing is pretty important. Just because a film is for children doesn’t mean that they deserve a lesser effort. Because they’re children, films should strive harder to reach them in a profound way. Pixar and Disney Animation are the current leaders at that kind of storytelling. A well made animation is great and all, but without a compelling story, it’s ultimately a lighter, well-rendered affair. Ghibli’s influence and inspiration reach greatly exceeds the islands of Japan. While “The Kingdom of Dreams and Madness” will try to unveil some of the wizardry behind their creation, there’s no denying the films themselves are pure magic.